Banana Bread! 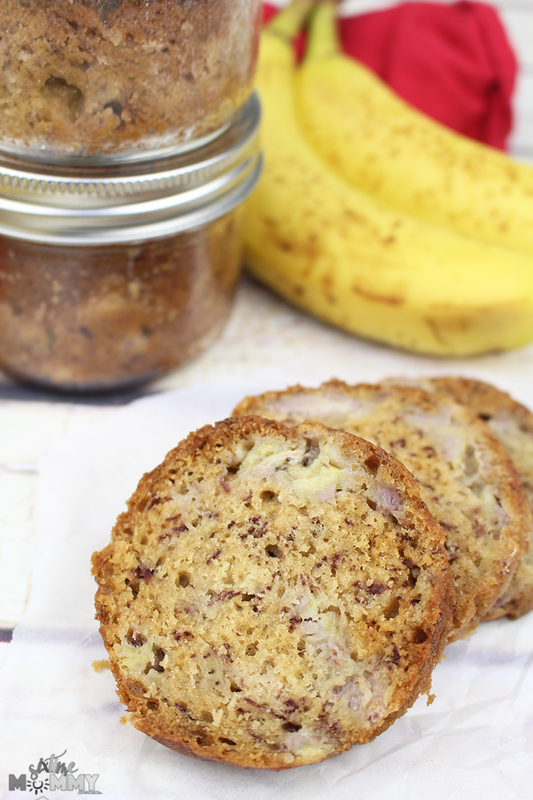 Who doesn’t love a good slice of a delicious homemade banana bread? Well, I’ll tell you what — My kids? LOVE banana bread. I mean, they are obsessed. I made these mini mason jar banana breads, eight of them to be exact and they didn’t last two whole days. 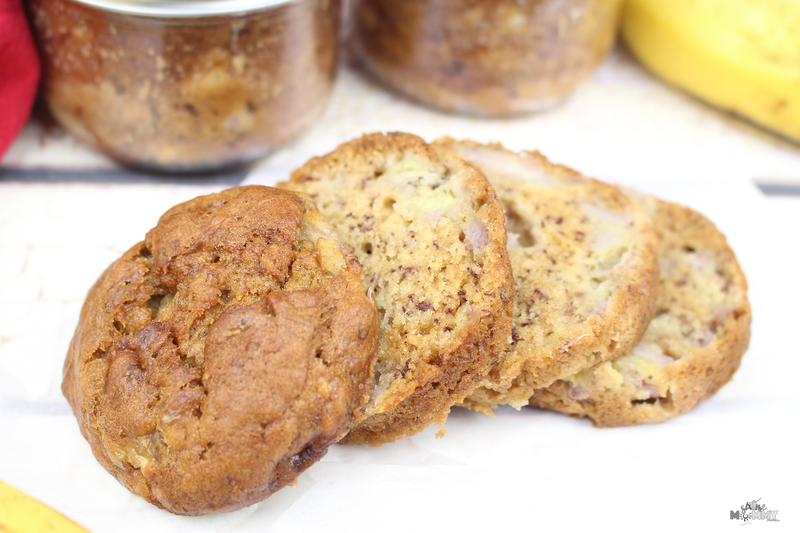 A few days prior I had made 4 larger mason jar banana bread to test them out, and they too didn’t last very long. 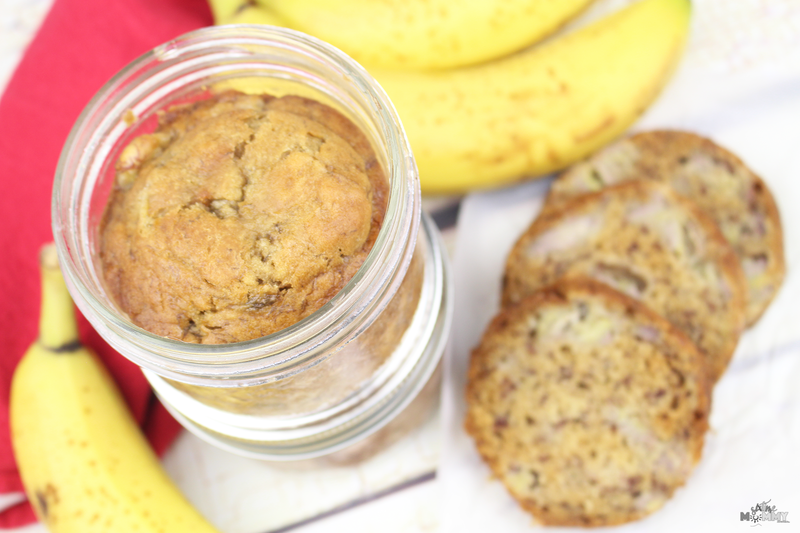 These banana bread made in mason jar allow two things. One, they allow you to have one single serving all to yourself. You can either pop them out of the jar or eat them in the jark with a fork – which by the way is a lot more fun than you’d even think and two, portion control. I am one of those who can’t get enough banana bread so I will eat way more than I should, this way helps keep my portions in check. I have no self-control when it comes to banana bread. Sorry, a little sorry. In a separate bowl cream together brown sugar, eggs, and butter. Mix in vanilla. Let cool for at least 40 minutes – then enjoy, freeze or store in the fridge. 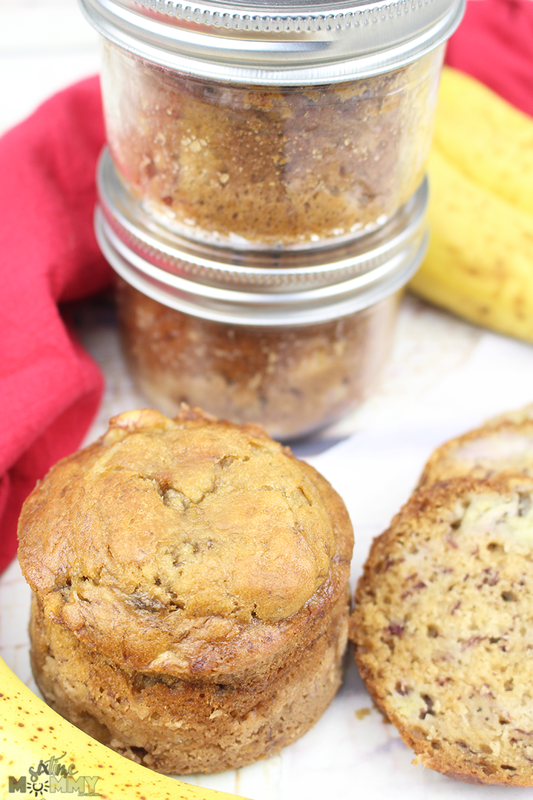 These banana bread mason jars are the perfect size for the school lunch box too. Which is why they didn’t last as long as I’d liked them to have. We sliced them up and sent some into school with the kids, for their treat! They loved them and keep requesting more! I’ll admit when I make banana bread I use half bananas that are overripe, been in the freezer for a bit but the other half? I use fresh bananas. They taste so much better and not as sweet as I find using all overly ripe bananas do. Does anyone else do that? I’m probably the only weirdo, but believe it — it’s good! Paired with a cold glass of milk – you’ve got yourself a delicious snack. Especially if you are doing some portion control. One of these sliced up makes a great light snack. You can even freeze them which makes them perfect for school lunches. I plan to make a few more batches and freeze them for over the fall and winter for the kiddos to bring to school. 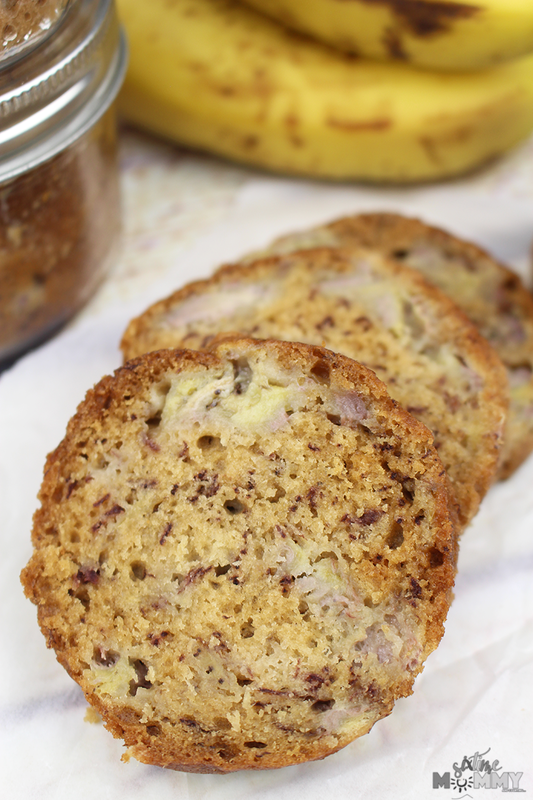 Are you a huge fan of banana bread too? What bread or treats do you think would be fun to make in mason jars?